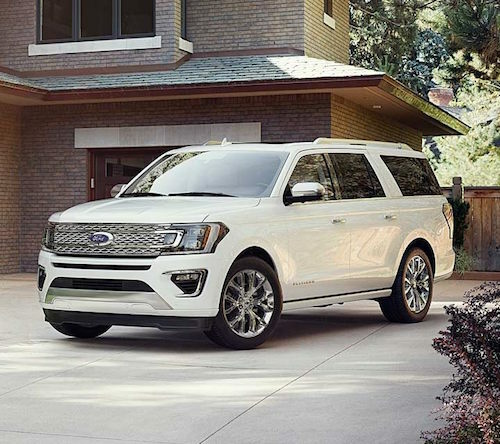 Both the new Ford Expedition and Ford F-150 have been recognized by auto authority Kelly Blue Book with 2018 Best Buy Awards. The Kelly Blue Book Best Buy Awards are a result of a year-long comparative vehicle evaluation and testing by KBB experts. They carefully examine vehicle pricing, 5-Year Cost to Own data, customer reviews, ratings and vehicle sales information. The Ford F-150 has won the Kelly Blue Book Best Buy Award four years in a row. Newly updated exterior styling, best-in-class towing, payload capacity, more powertrain and driver assist technology as well as remarkable fuel economy made this model even more popular than it has been in years past. The all new 2018 Ford Expedition received rave reviews for its efficient EcoBoost® engine, advanced drive/passenger/powertrain technology and sleek new styling. New Expedition owners also noted the best-in-class rear seating and storage solutions as favorite features. Our Ford Dealership near San Francisco, CA has a selection of new Ford Expedition and F-150 models to choose from. If you are considering a new vehicle for 2018 we invite you to stop by and test drive one of these award winning vehicles soon.